Do you like taking pictures? Are you passionate about photography and beautiful world of photographs? Like to capture the beatiful moment? If so you will probably like the fact that you can actually make some real money online with your photos. Don't believe me? Read further! Yes, you can make money online with photography. And there are many different ways to do so. Running a photography business online can be a very profitable thing if you know how to do it, where to participate and how to make shots that sell. And in this article you can learn more about the topic. Basically I will talk about three best ways to make money online with your photography. Stock photography, selling designs and running a photography site or photo blog. These are my three favorite ways to make money online with photography. And yes, I make money with my photos online. And I want to share some quick and wonderful tips and programs with you in this article! Stock photography is a photography with a commercial value that is used in magazines, newspapers, books, designs, webistes and other commercialy oriented projects. Stock photographer make stock photos that ohers will use for further development or use them in their commercial projects. Stock photographer sell stock photos on microstock agencies and when someone buys a photo this means money for stock photographer! There are many different stock photography agencies online and some of them are really huge and a lot of photographers make a lot of money every month selling stock photos on these microstock agencies. Stock photography is really popular and if you look in some magazine, newspaper or publication you will most certanly find some photos from some stock agency! That's because magazines rather buy a stock photo online than hire an expensive photographer. And if you have a large portfolio of stock photos on different microstock agencies you can really make a living with photography online! It's hard work but it can really turn into a nice business! Below you can find some awesome guides to stock photography and some list of best microstock agencies online that will help you undertans stock photography and make money selling photos online. And stay updated with my articles because I will surely post more about stock photography in the future! Very cool list of top 10 microstock sites to submit your portfolio of stock photos to. These sites are the leading providers of stock photographs and you will hit the right spot if you join them! Increase your sales by joining the sites on this list! DreamsTime is one of the best microstock agency! Check out this guide to learn how you can make money by selling photos on DreamsTime! iStockPhoto is the biggest stock photography site! If you want to make real money with stock photography online this should be one of your main site to submit your portfolio! Second best way to make money online with your photography is selling posters, prints, T-shirts and other stuff with your designs and photos on them. You can create beautiful products with your photography and people will most certanly like them on their walls or wear T-shirts with your beautiful designs and photos. 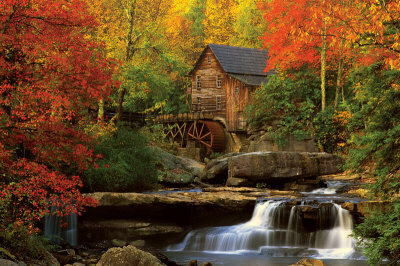 Zazzle, CafePress and AllPosters are great stores where you can open your own online store and sell products that feature you photos and designs. Below are some expamples of products from AllPosters and Zazzle. Third way to make money online with your photography is to create a website for your portfolio or to run a photography blog. This is a great way to promote yourself as a photographer, to expose your portfolio, to increase your paid opportunities as a photographers and to sell your photos directly on your site or blog. 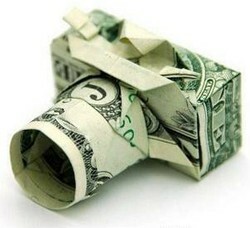 There are also other great money making opportunities that come along with photo blog or site. If you have good content and some traffic than you can monetize your photos with advertising and marketing. If your visitors love to come to your blog than you can add Google AdSense to your blog and make money when people check out relevant ads on your blog or website. You can also add Amazon Associates affiliate program to your photo blog and sell photography equipment or photography related products. And there are dozens more affiliate programs realted to photography! The most important thing here is to post good content (in this case nice photos) and drive traffic to your site. Create a community of readers and post frequently. Ad some ads and product reviews. If you have a popular blog you can make some real money with advertising and marketing on this blog! Do you make money online with photography? Yes it works, but you need to do a little due diligence and find out what images each site sells the most of and concentrate on taking these type of images and shots. it will save a lot of time and frustration in getting accepted to these micro stock agencies. The blog is a good way to go if you can't sell them via stock sites. I made http://www.jpg10.com so that photographers wouldnt have to. Learned some new tips here about how to make money with photography, thanks. Thanks. 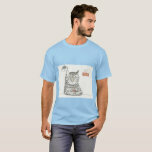 Squidoo has modules for Zazzle and Cafe Press where you can promote the products without having to open your own store. This is something I absolutely have to get into. Thanks for all the tips. Selling photos is on my list of things to try. Interesting stuff. Great resources. I need to look into this. Yes I agree, and it is a easy way to make money, it will take some time but can be a steady income at some point. Thanks for an useful post. Excellent article. I didn't know you could sell your posters on AllPosters. I'm going to check into that.